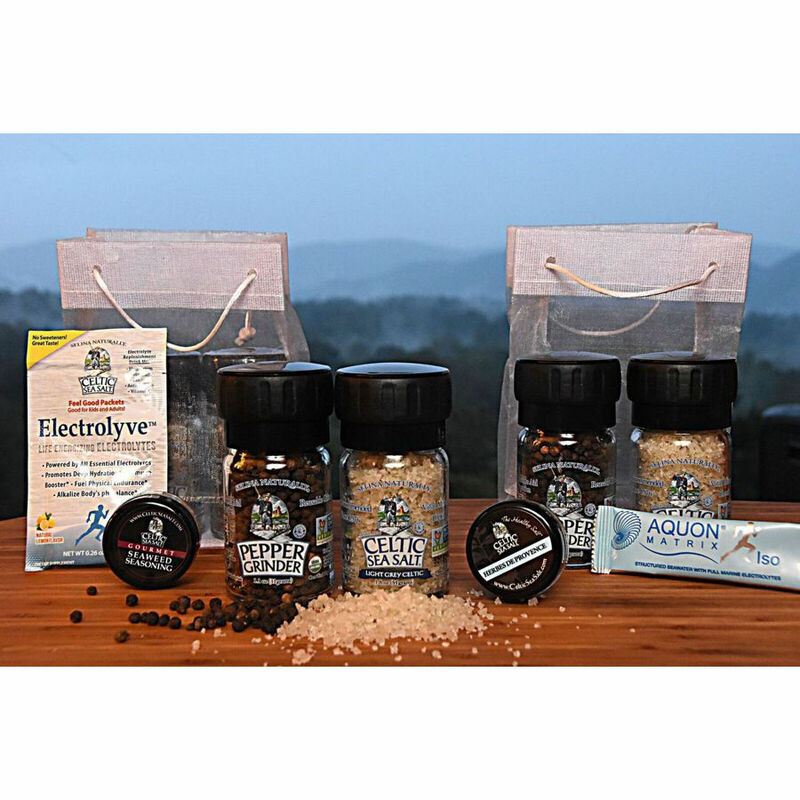 We"ve gathered our products into bundles of our best suggestions for a wide variety of uses. Whether you're just starting a healthy kitchen, changing your diet to a healthier one, or are looking for a thoughtful and convenient gift idea, we"ve thought of you! Our bundles represent Selina Naturally's recommendations to help you on your path to ultimate wellbeing. Show up to dinner parties in style with our Hostess Gifts Set! 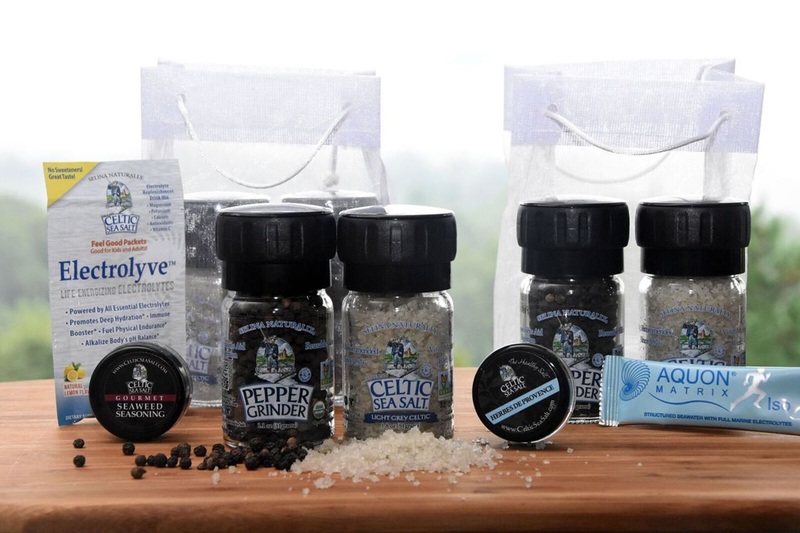 This set features three pairs of our best-selling, large Celtic Sea Salt® Light Grey Celtic® and Organic Peppercorn Grinders. Each pair of grinders comes smartly packaged in a white, sheer mini gift bag with an attached gift card. Aquon Matrix sample NO LONGER included. 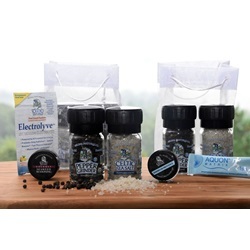 If you are looking for iodine support, please order S-CVEG, our gourmet iodine seaweed seasoning.